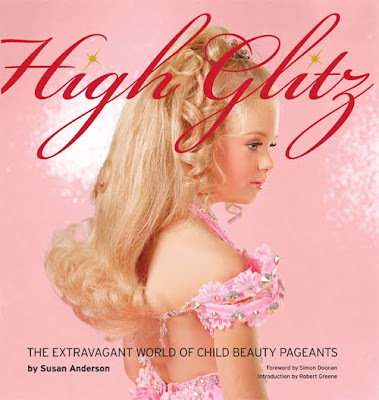 This fall Susan Anderson authors High Glitz, a not-quite coffee table book, not-quite “how-to” guide, presenting a social commentary on the specific world of “high glitz” (not just “ordinary”) child beauty pageants presented mostly in the form of photographs. In recent years the public at-large has developed a heightened fascination and (often) simultaneous disgust over the world of child beauty pageants. Many attribute this wave to the highly publicized Jon Benet Ramsey tragedy. Regardless, those of us not born and bred in pageant-friendly communities are most likely to take the side of the cynical “Little Miss Sunshine” and newly released, “Whip It,” indie-take on these spectacles. Indeed, Anderson seems to be offering the glamourific world a voice, but ultimately may reinforce the all-too familiar cliché that beauty is indeed in the eye of the beholder. Anderson’s introductory comments on the “confectionary” feel of a pageant she attends at the Annual Dixieland Dolls and Darlings National Beauty Pageant describe the endless ribboned-up, spray-tanned, pinkified children milling about a hotel lobby. 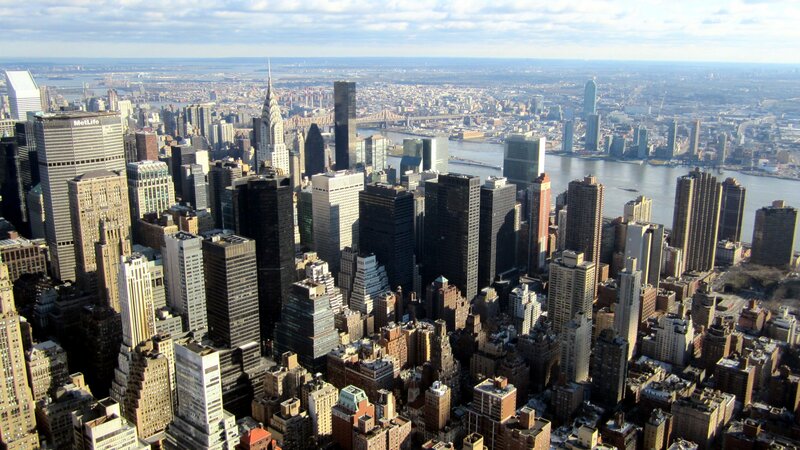 Despite the great detail, her words seem careful, and do not in any way reflect a cynical intent. Her photos, however, are truly revealing. Page after page of makeup-clad young girls reveal expressions of hope, fear, misery, excitement and gloom. For example, one page reveals Sasha, perfectly posed with a pasted grin laden with people-pleasing stiffness. Her eyelids are covered with glitter and her pink (of course) dress seems to have lost a fight with a bedazzler. Just one page later we find Cameron, whose cupcake-inspired ruffled dress and stick-straight posture do little to contrast her down-turned mouth and piercing brown eyes. Worse yet is page 34’s “Beauty” (yes, that’s her name), whose mountainous blonde curls look as though they could cause her to topple over. This time there is no mistaking her lipsticky pout for a full-on frown, and I have a feeling that it’s not only because her dress is covered in pink bows, sequins and faux fur to weigh her down. However, for those who explore this book with genuine interest may appreciate the final pages, which include a guide for elements of beauty/formal wear, talent, western wear, modeling, hair, interview, photogenic-ness, and yes, even “flippers” (think: fancy dentures). Regardless of one’s stance on the world of beauty pageantry for children, Anderson succeeds in publishing a refreshingly honest and seemingly unbiased glimpse of this highly controversial social custom in all of its glory. The photographs speak for themselves and allow all readers to choose whether they want to consider it a mockery or a celebration. All in all if you are looking for a good website to order custom book report written by academic experts, get in touch with professional book report writing service provided by CustomWritings.